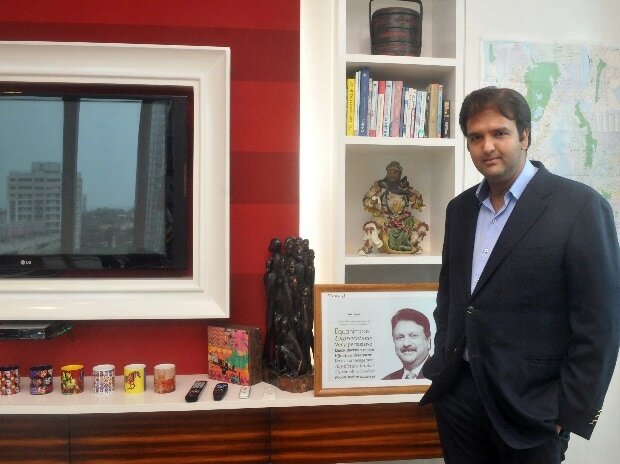 Anand Piramal at his office in Mumbai. File photo. Investor confidence was rocked last year by a series of defaults at shadow lender IL&FS Group, which pushed up costs for borrowers, including builders looking to roll over debt that fueled a construction boom. Real estate firms have to pay about Rs 1.29 trillion ($18.7 billion) a year on outstanding debt but generate less than half that in income that can be used for repayments, according to an analysis of about 11,000 companies by research firm Liases Foras. Nonetheless, Piramal says this is also a good time to be raising capital to help buy assets that will come to market in the next couple of years. He is also looking for a partner to build a portfolio of commercial assets to diversify from being primarily a residential builder. Piramal Realty seems to be on a strong footing amid the mess. Sales have quadrupled this year to Rs 30 billion, fueled by new projects in the south of Mumbai.